Having the ability to create light without needing electricity should be part of everyone’s emergency essentials. While flashlights are certainly helpful, batteries quickly die out so having a store of candles on hand can provide the light and morale boost that one needs to make it through a dark night or two. But what if you didn’t have any candles available? Fortunately there are very simple ways to make homemade lamps from everyday objects found around the house. In this article I’ll be teaching you the principles of how a simple lamp works and showing you a few examples so that if needed you can make your own. Both oil lamps and candles are able to continually burn their fuel (wax or oil) through a process called capillary action. You can easily see this process by dipping the corner of a paper towel in liquid. The liquid gets drawn up into the paper towel which is called capillary action. Understanding this is the key to creating many different types of wicks for your homemade lamps. As long as the material is absorbent, it will be able to draw the fuel up into itself to be burned by the flame. Poke a nail-sized hole through the center of the can with a nail or other sharp object. Using a can opener, partially open the tuna can so that you can empty the ingredients. Cut a 2 inch by 8 inch strip of material from an old cotton t-shirt, rag, or sock. 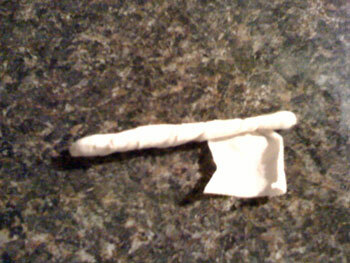 Roll the cotton strip into a long wick (you can optionally twist it as well). 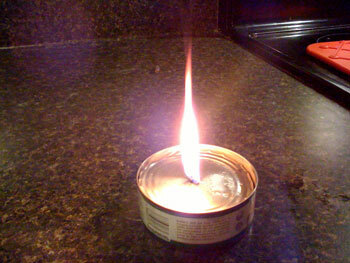 Feed a half-inch length of the wick through the poked hole in the top of the tuna can with the remainder of the wick coiled in the bottom of the can. Fill the can up 3/4 of the way with oil and let the wick soak up the oil. You can also pre-soak the top of the wick. As the oil soaked up in the wick burns off, it will continually draw up new oil from the bottom of the can and provide hours of light. The great benefit of using cooking oil is that similar to a candle if the lit lamp were to fall it will not ignite (kerosine lamps are dangerous in this way). It’s a very safe form of light. Also if you’re worried about the smell, it’s actually quite minimal (with Olive Oil being practically scentless). Here’s another example of a homemade lamp/candle. In this example I’ll be demonstrating how to make a homemade candle using saved bacon grease. 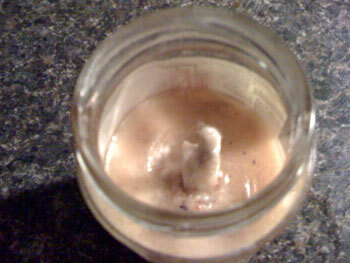 Bacon grease when solidified is nothing other than rendered tallow (lard). When fat from an animal is heated it melts into a liquid and when filtered through a mesh and cooled until it solidifies you get tallow. Tallow, similar to wax, provides a great source of fuel for a homemade candle. Again, any type of cooking grease (such as Crisco) can be used. Cut a 2 inch by 6 inch strip of material from an old cotton t-shirt, rag, or sock. 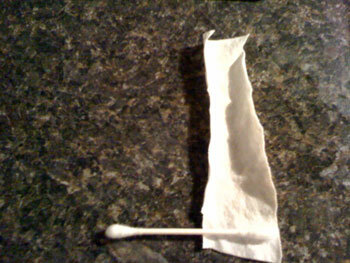 Wrap the cotton strip around the Q-tip, covering it completely. 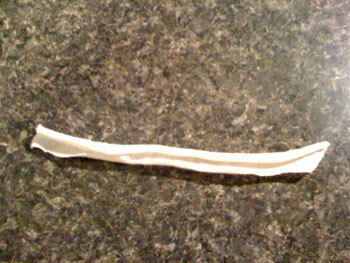 Stick the wrapped Q-tip in the bacon lard until only a half an inch is exposed. Smear a little bacon lard on the exposed cotton wrapping. As you can imagine, burning bacon grease can give off a slight bacon smell. It’s not entirely bad and plus if it were the end of the world you could light it outside to attract the neighborhood dogs — providing a good source of meat for the family ;). With these two examples I hope you get a better idea of how to make your own homemade lamp and candle using common every-day household items. Remember, all you need is a container, a wick, and some fuel. The rest is up to your imagination. I just made a bacon grease lamp, and it worked perfectly. I used the fat from 1 package of Oscar Meyer Thick Cut, and followed your simple instructions. The lamp burned for approximately 40 minutes, until it burned dry and cracked the glass jar (no I wasn’t watching until the end, my bad- but the lamp was in the sink.) All in all, I’d say it was a great success for my first time trying anything like this. A thought on increasing the amount of fuel. I didn’t do it this time, but usually I cut any excess fat off the bacon, so as to get more meat. This would double, perhaps even triple the amount of grease. I also think I may need to get a bigger jar. There was no discernable bacon smell, and it did smoke just a little more than I thought it would. Tomorrow I’ll try the olive oil in a tuna can lamp. Thanks for the info! That’s great! Thanks for letting us know the results. 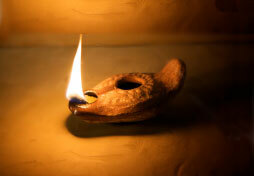 Keep us posted with the olive oil lamp (especially amount used and time of burn). I started with 3 table spoons of bacon grease and cooked a 12oz. pack. With the remaining grease I did as suggested and placed in a container, happening to be a metal can. I used the fabric and cotton swab as the wick. It has now been burning for 4 hours and has atleast half of the original amount remaining. I would not at all be surprised if I saw a flicker in the morning 10 hours from now. Wuzzup Dawg (sorry couldn’t resist). That’s great! You said you started with 3 tablespoons and then cooked some more bacon. So how much did you begin with. I’m curious (down to the numbers) how long 3-4 tablespoons of grease will burn for. Thanks for experimenting, it helps us all out. I am a ceramic artist by trade. If you know someone who is or can fire ceramics yourself, another thing you can do is make clay balls and poke holes through the center, to feed a wick through, and fire them. You can set those on top of any glass wine or soda bottle. Now that I think about it, they probably don’t even need to be fired. Just Let them dry. Just to clarify, the bottle I assume is to hold the fuel and the clay ball retains the wick (to keep it from falling into the bottle)? Is that correct? Would this same idea work with something like Everclear or high alcohol content vodka? You don’t want to use alcohol in these (safety aside) because alcohols will burn with a dim blue flame. Albeit very hot, it will not provide much of light. It would work, however I must caution you that a flash fire (due to spillage etc) is a risk so I would recommend you use a cooking oil etc. 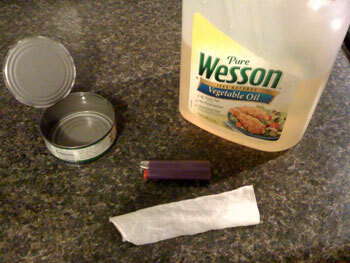 I tried the tuna can with wesson oil. It burned for about 5 mins. The wick burned down to about 1/16 of an inch or so and the flame was so low, I could have gotten more light from a match. Does the hole size have any bearing on the wick as far as being to constrictive on the oils ability to be “wicked” upward? I did have to pull the wick through with needle nose pliers. 5 minutes? Did all the oil get burned up? Mine typically last much longer than this. The hole size I used was about the size of a wood nail. I did not need to use pliers to pull it through however (just fingers). It may be (as you surmised) that the hole/wick is too small/thin to create the necessary capillary action. What did you use as a wick? Be sure it is 100% cotton and not partially polyester or nylon. Most of the oil was still in the can. And to be honest, the wick I used I assumed (and you know where that leads) was 100% cotton. I will, however, do this over again making sure the wick is as you instructed and that the material isn’t choked for oil. I’ll get back to you. Thank you for responding. My wife thinks I’m loosing it for doing all my little practice experiments. But like I told her, if the SHTF she’ll appreciate my thinking and this site. But if you smell like bacon…don’t forget the dogs he mentioned. Seriously though, I feel your desire to be independent of the manufactured products that “have to” come from China. I also enjoy making things that are from what people may consider waste product. So, how do you do it? I’d like to make some myself. If you can tell me or throw me a link, I’d appreciate it. But leave out the bacon grease. My family likes bacon. But in a survival situation, I don’t want them looking at me with a gleam in their eyes. I use cotton mop head strings to make char cloth for my flint and steel, mainly because of the reasons stated by Kevin, although I use the strings full-sized. I say recycle/reuse. I know we have a lot of used oil from our french fryer. I strained the used oil with chees cloth and used that. Worked great! 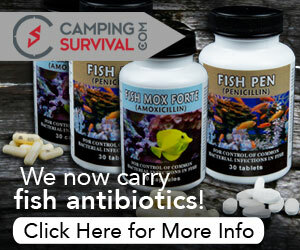 I am now making an effort to save a few gallons in case the SHTF. That’s a perfect use for old oil. Good job Shawn. You can use bacon grease that has been strained to make sure those small bits are gone. The recipe you use will give you different fats and lye ratios. Too much fat will cause a soap not to set and too much lye will cause it to be flaky, which is fine for laundry. After the soap has had time to go through the ” cooking ” process it won’t have a bacon odor or any real scent unless you add essential oils during the process. I made approx. 100 bars this last year and LOVE home made Lye soap. Good job to those who want to enjoy learning to be self sufficient! And thanks for the info. on the lamps! Thanks for the great comments and tips! An alternative to using cotton as the wick is using all the lint from your dryer’s filter. 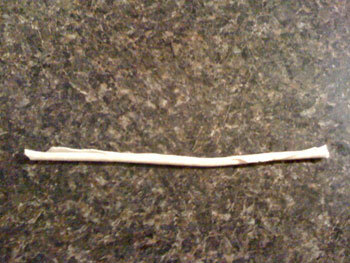 You just roll it around a toothpick. Good for the candle your making. Also speaking of toothpick, I think it would be a better alternative to the Q-tip because some q-tips are made from plastic and you dont wanna burn plastic. I am a midi-evil reenactor and have made unfired clay “dishes” with raised edges and a pinched “lip” to lay the wick into. Once dried, you can easily pour in any vegetable oil ( I use olive oil but any will do ) and a length of candle wick. Light up and depending on how much oil you have in the lamp, good for several hours. Great comment Richard, thanks. Nice to hear people using these skills in all sorts of scenarios. Interesting article, I have been saving grease collected for the last few years to try and make a grease candle based on what my grandmother had told me (as a kid) of how she did it during the great depression. I am also interested in trying to make a stove that would run off of grease. Many years ago I hiked the Appalachian Trail using only a Pepsi can stove to heat my meals. I may try modifying a Pepsi can stove and see if I can use grease as a fuel instead of alcohol. If you don’t know about Pepsi can stoves I can highly recommend them. They are easy to make from two Pepsi (soda) cans, run on alcohol (denatured is best since it produces no smoke or soot) and only need about one ounce of alcohol to cook a simple meal. I used to cook up a Lipton side dish of rice or a box of Mac and cheese with just over an ounce of alcohol. Just Google “Pepsi can stove” and you will find dozens of designs. I perfected my own design and added a home made stove ring to support a pot on. Most long distance hikers swear by these stoves, plus the alcohol can be carried in a light weight plastic soda bottle. Short-lived, but very plentiful lamps (or firestarters) can be had with Fritos corn chips. Each chip will burn for several minutes, just place it curving upwards in a metal bowl and light it up! Yes, you can make lye soap from bacon grease—our forebears did it all the time. 🙂 Some say it’s not as nice a soap as that made from other types (hence the fame of Castile soap, made from olive oil) but it should be serviceable. Thank you for this website! I like making useful things that recall technologies from by-gone eras. And I like sharing with others stuff I have made. I use cotton clothesline (about $4 for 100 ft last time I bought it at a dollar store) as a wick in all my olive oil candles and burners. No muss, no fuss as with wrapping or rolling. And I only use olive oil. Make sure though when buying olive oil that you get only 3 liter cans that specifically say “100% olive oil.” A lot of the cheap stuff suited for candles is actually olive oil blended with other vegetable oils. The height of the wick above the lid (or oil level in an open-top candle) determines flame height. Just like with a kerosene lamp, too high and you get a smoky flame. Too low, not enough light/heat. The cotton clotheline makes for easy height-of-wick adjustment and its uniform braided construction makes for consistent capillary draw. 1) Drill hole in center of metal lid slightly bigger than the diameter of the cotton clothesline wick and around that hole, drill three other 1/16 in. holes for make-up air. Without those 1/16 in. holes the candle will starve itself out or refuse to burn consistently. Drill, don’t punch. You have to pull the wick up from time to time in between uses as the wick degrades with use. A smooth drilled hole rather than a jagged punched hole makes this easier. 2) Fill glass jar halfway up with steel BBs. That limits fuel capacity to about one ounce but you can’t reliably draw olive or other vegetable oil up at a consistent rate above 1 in. vertical height. The squatter and wider the fuel container, the better. Use steel BBs instead of copper-plated ones. The copper-plated ones end up turning blue green and that releases a copper compound into the olive oil fuel. 3) Cut about a 3 in. length of cotton clothesline for the wick. Thread about 1/4 in. of wick above the metal lid. 4) Fill the glass jar containing the steel BBs with olive oil (about 1 oz. worth). 5) Coil the 2-3/4 in wick tail into the jar and screw the lid on. 6) Let it sit for about 10 minutes so the wick becomes saturated. Helps to kick-start saturation from both ends: Wet tip of wick above metal lid with a couple drops of olive oil. I found I get at least 45 minutes burn time off 1 oz. of olive oil. And I can refuel without extinguishing the candle. The lid gets hot but you can still unscrew it with your fingers, lift the lid with the wick still burning, pour some more olive oil in and screw the lid back on. It helps when you don’t screw the lid on tightly to begin with. The best part about those pimento jar olive oil candles I described is that once you light them and get a just-right flame height at the beginning, that’s it, no more tending, as in raising or lowering the wick or other fiddling. I also make olive oil candles from empty 4.5 oz. glass jars of chopped garlic that also have metal screw-off lids. Those jars are about 2-1/8th in tall and about 2-3/4 in. wide. You just need more steel BBs to half fill them so fuel draw height is no more than 1 in. Those provide 2 hours plus burn time before refueling. With both, you can move them around while they burn (i.e., find your way to the bathroom with it). 1) Drill a 1-1/4 in. hole in center of an UNOPENED can with a carbide grit hole saw (Remgrit brand, they have them at home depot). 2) Drill five holes each slightly bigger in diameter than the cotton clothesline wick in a star pattern, AROUND the 1-1/4 in. center hole – halfway between the circumference of the 1-1/4 in. center hole and overall can circumference. Picture a car tire rim with center hub hole and surrounding bolt holes and you get my drift. 3) Evacuate (and of course, DISCARD) the now metal fragment containing contents by flushing with hot water. 4) Cut five wicks about 3 in. long and thread each one down through each wick hole until about 1/4 in. of wick is sticking up from the top. That’s it. The center 1-1/4 in. hole is your fuel filler/make-up-air hole. Fill to about 3/8 in. short of the top of the can. I get about an hour burn time per fill-up. A quart-and-a-half pot of water sat above this five-wick burner comes to a gentle boil in about 50 minutes. Another opened, empty can same size is used for the snuffer. If you like coffee as much as I do, get a Bodum coffee press. Whenever power goes out you can still boil water with the five-burner unit and make coffee with the Bodum. In all three cases, the pimento and chopped garlic jar candles and five-wick burner, the most important design feature is that the wick is kept at a consistent height above the fuel – as is the height of the wick above the metal lid or can top. That’s what makes for a no-fiddle consistent capillary draw and flame height for the duration after you first get it going. Wow. Mike, thanks so much for the DETAILED comment. Much appreciated (from me and my readers). Keep up the good work! I tried this with an olive jar and all I get is a wick that burns out after a few minutes. I tried the rolled up t-shirt wick, and a piece of cotton rope and got the same result. Well I poked three nail holes in the lid. Got the same result. Undid the lid. Got the same result. Why is my wick getting charred and eaten. I used vegetable oil: the same stuff I used in them dippy candles from 30 some years ago. Did you saturate the wick in the oil before lighting it? Also, the hole that the wick sits in can’t be too tight/restrictive. Yes I saturated the wick and enlarged the hole. I’ve been using an olive jar about 3×3″. I still only get about 15 minutes before the wick burns out. I’m hoping to incorporate the oil candle in a tent heater I’m costructing on your concentric clay pot design only with concentric tin cans instead. That way, if I knock it over in my sleep I have an oil mess instead of a tent fire. Fingered out the problem!! Somewhere I missed the part that says the oil won’t wick past one inch above the oil level. Once I’d corrected for that I had a much longer burn. All ‘nite’ in fact! I was able to try the bacon grease tonight worked well but my parents aren’t in to prepping and were also afraid I would burn down the house will hopefully do the olive oil soon I also am going to start printing all your things and others I find and printing them and putting them in a binder. I have a friend who saves the dryer lint up, puts it between two old sheets and runs stitching on it in a block pattern and then gives the “quilts” to her dogs to help them stay warm in the winter. Can I use hamburger grease also? I have some of the collected in empty metal cans from veggies like carrots or soup cans? Also can these candles be stored and possible frozen in storage and still have good wicks? Store like in outside shed where would freeze? Thanx. What you said about the Bacon Candle drawing the neighbor dogs made me giggle. But if the indians did I can too if things get that bad. I always wanted to try making soap but as a newbie to it,well it sounds overwhelming. Anyone have step by step instructions or video? 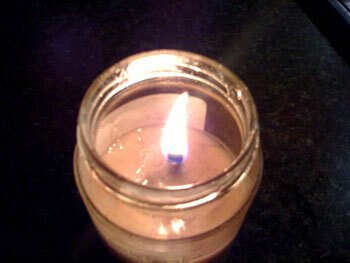 An easier candle…… Stick a candle wick, found at your local craft store, into a small can of Crisco. Push the end all the way down. Light it and you have a candle. The metal can will not break, and it burns for a long time. 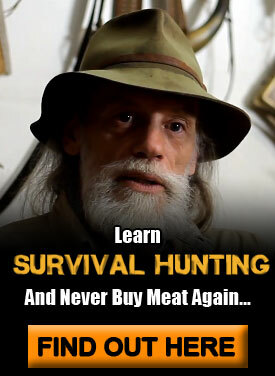 for anyone looking for lard; try the local slaughter house if you have one. Lots of people don’t want the lard. When we butchered pigs or cows, I always took the lard and rended it. There are two kinds of fat that come from the animal: dark, and white. The white I used for baking and such; the darker lard went to soap and frying foods. It could also be used, I now know, to make lamps!! (Pour the hot rended lard into canning jars and seal while still hot. The lard keeps indefinitely if stored in a cool place like a cellar…). Awesome. . Bacon candle in cleaned cat food can with trifold uses.. light the wick.. take a tsp of the melted fat.. put clean perforated lid on top of burning candle.. use small skillet.. put tsp of melted fat in skillet. . Fry an egg.. render more fat… wala! Recycling in the rough! MIke this is really great information thank you! All the information on this site is so useful. 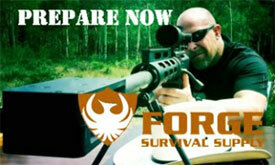 Thank you to Tactical Intelligence too for the invaluable information that will undoubtedly save lives! Appreciating this website and experimenters! We make plant medicine salves with rendered fat. Will be lighting our yurt with fat oil lanterns once we try making them. although confident! Everything you need there is a way to make! soap, light, butter, yogurt, sourdough bread/biscuits, clothes, housing, pottery, much more! can i see a pic of the dish? curious as to what it looks like…. could you share your version of a pepsi can stove? Did you know there is a plant that you can use as soap in the spring and summer months? It is called soapwort or bouncing betty. You cannot eat it as it is poisonous but if you take the green plant and get it wet and rub it in your hands you can make some very nice green soap suds to clean up with. Makes your skin and hair squeaky clean. I have been rendering beef fat for about a year now and bacon fat when I have it. When I can get the kidney fat (the best fat) from the local guy that butchers his own cows I render that. If I must buy it from the grocery store (the suet you buy for the birds) that is okay too. I use my crock pot to render fat and store it in quart canning jars. It needs no refrigeration so I love to see the stock pile of rendered fat I have to use for candles, soap, or the best darn popcorn you ever ate. It is allot of work to render, filter, and store but well worth it Energy from fat will be very important if you need to survive. You must be very careful when rendering fat. Grease burns are very painful much like steam burns. Learned that the hard way. I have heard that deer fat is not good to use as it is like wax sticking to your mouth when you try to eat it. Then I heard that deer fat is just delish. Anyone have any input to this? Just asking. the initial experiment was entertaining.